Director: David YaroveskyWriters: Brian Gunn, Mark GunnStars: Elizabeth Banks, David Denman, Matt JonesSummary: What if a child from another world crash-landed on Earth, but instead of becoming a hero to mankind, he proved to be something far more sinister? Brightburn is an upcoming 2019 American superhero science fiction horror film produced by James Gunn and Kenneth Huang. It is directed by David Yarovesky from a screenplay by Mark and Brian Gunn, and stars Elizabeth Banks, David Denman, Jackson A. Dunn, Matt Jones and Meredith Hagner. It is produced and financed by Screen Gems, Stage 6 Films, Troll Court Entertainment and The H Collective, and will be distributed by Sony Pictures Releasing. 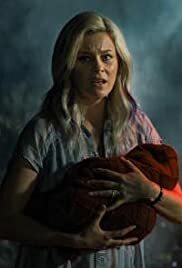 Brightburn was announced as an "untitled James Gunn horror project" in December 2017, shortly before Gunn was forced out by Disney from the upcoming Guardians of the Galaxy Vol. 3, only to be reinstated. Gunn was attached as producer, with his brother Brian and cousin Mark writing the script. Principal photography began in March 2018 and filming wrapped in May of that same year. The film is scheduled for release in the United States on May 24, 2019. For more from Wikipedia on this movie click here. This entry was posted	on Friday, March 29th, 2019 at 10:26 pm	and is filed under Horror, Movie List, Movie Trailer, Movies, Science Fiction, Trailers. You can follow any responses to this entry through the RSS 2.0 feed. You can leave a response, or trackback from your own site.